Building upon the success of Windrush Project 2014, we adapted the framework to work within a school setting. With support from the Brixton Learning Collaborative, we enrolled St Jude's CE Primary School, Lambeth to participate in the 8 week project - a change from our shorter length projects. For this project we used a picture book as a creative stimulus to explore the hopes and aspirations of the Windrush Generation. The project explored the protagonist's journey and related that to the struggles of the Windrush Generation using drama, physical theatre and devising techniques. 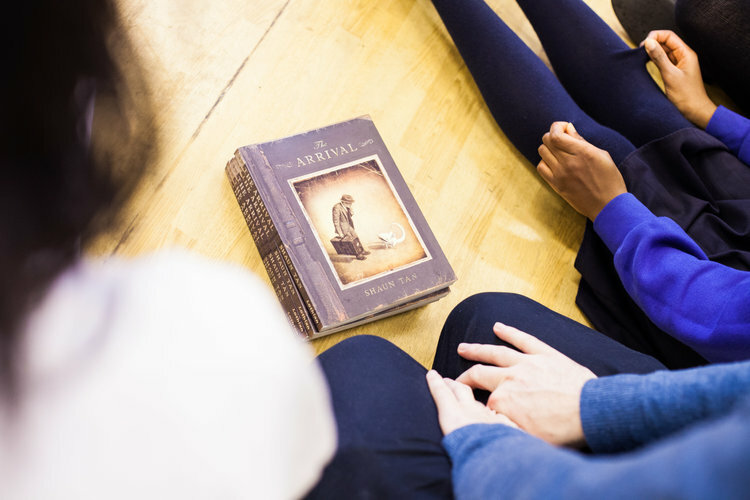 A literacy element was added to the project in the form of creative, follow-on activities devised by Arts Bridge and delivered by class teachers in order to further develop activities explored within the session. The project culminated in a school assembly performance in which the children performed their responses to ‘The Arrival’, inspired buy the legacy of the Windrush Generation.